As a online college student I understand where diligence, preservation, and hard work can get me. Through my online schooling I have found how self-motivated and organized I am. 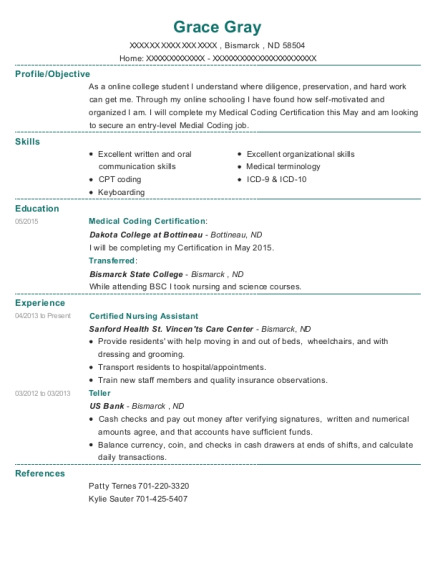 I will complete my Medical Coding Certification this May and am looking to secure an entry-level Medial Coding job. I will be completing my Certification in May 2015. While attending BSC I took nursing and science courses. Provide residents' with help moving in and out of beds, wheelchairs, and with dressing and grooming. Train new staff members and quality insurance observations. Cash checks and pay out money after verifying signatures, written and numerical amounts agree, and that accounts have sufficient funds. Balance currency, coin, and checks in cash drawers at ends of shifts, and calculate daily transactions. 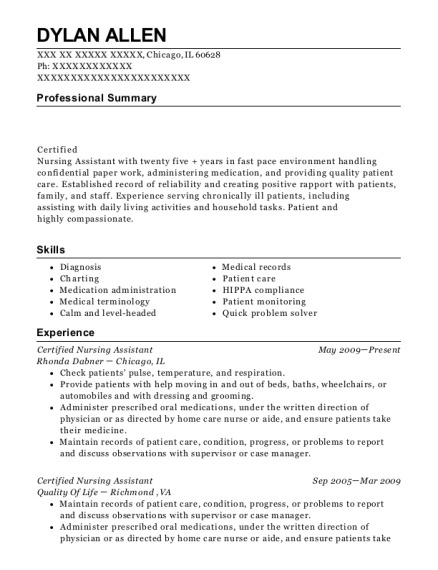 This is a resume for a Certified Nursing Assistant in Bismarck, North Dakota with experience working for such companies as Sanford Health St Vincents Care Center and US Bank. 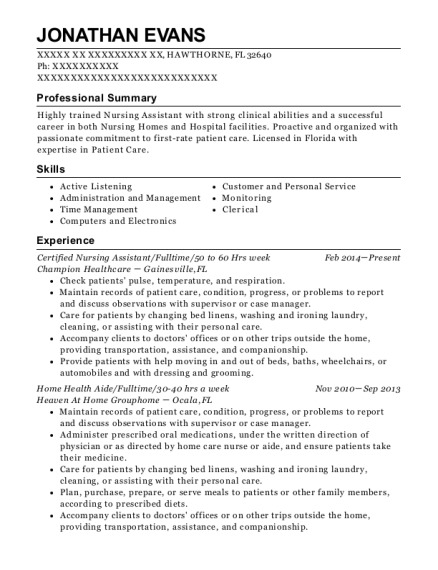 The grade for this resume is 0 and is one of hundreds of Certified Nursing Assistant resumes available on our site for free. 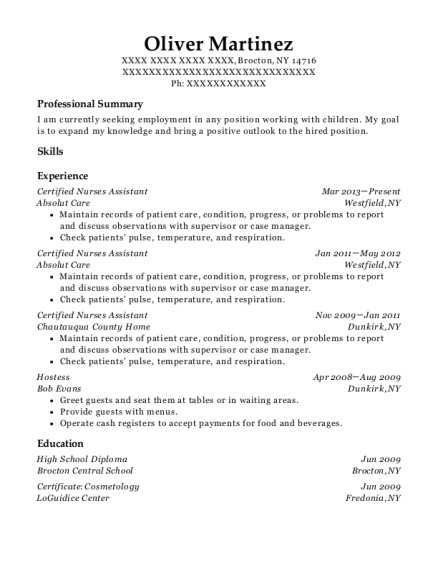 Use these resumes as templates to get help creating the best Certified Nursing Assistant resume.